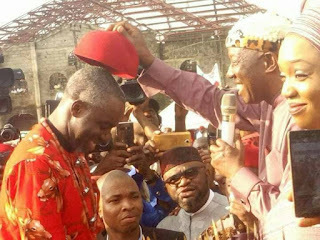 Home Politics IMO GUBER: Ugwumba Uche Nwosu receives Highest Chieftaincy Title, attracts Massive Support From Mbaise. 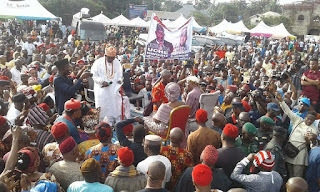 IMO GUBER: Ugwumba Uche Nwosu receives Highest Chieftaincy Title, attracts Massive Support From Mbaise. 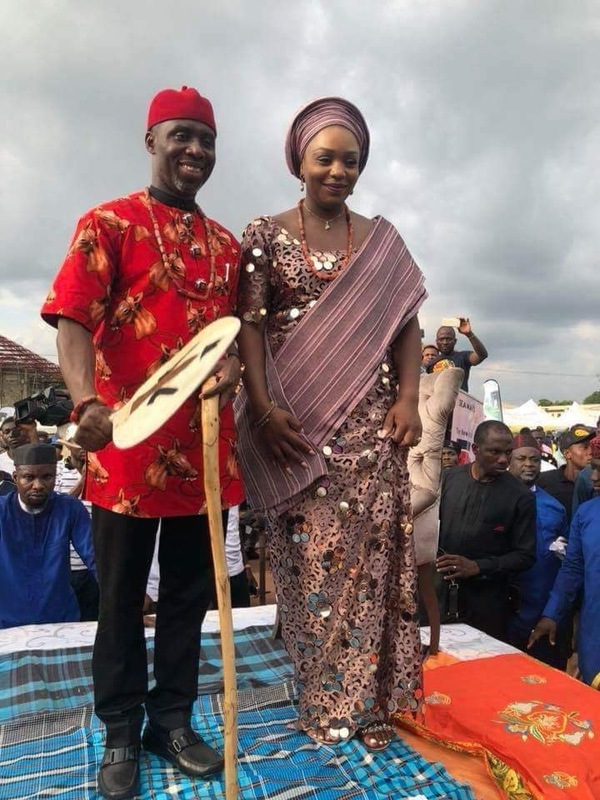 The growing relevance and prominence of Ugwumba Uche Nwosu in the IMO guber race has gained another commendable support, as the people of Mbaise came out in massive turnouts to throw their weights behind the visionary ambitions of their great icon. 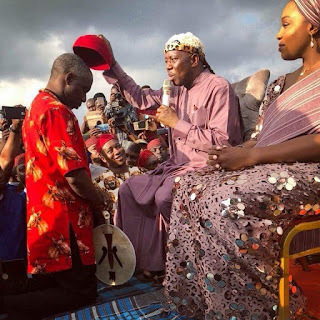 This was witnessed at the annual occasion and ceremony of the "IRI JI Mbaise" Nation, where Uche Ugwumba was also decorated with the highest chieftaincy title by traditional rulers in the state. The prestigious title of "Ugwumba Oha Nile Mbaise" was conferred on Chief Nwosu by the council of traditional rulers in the Mbaise community. 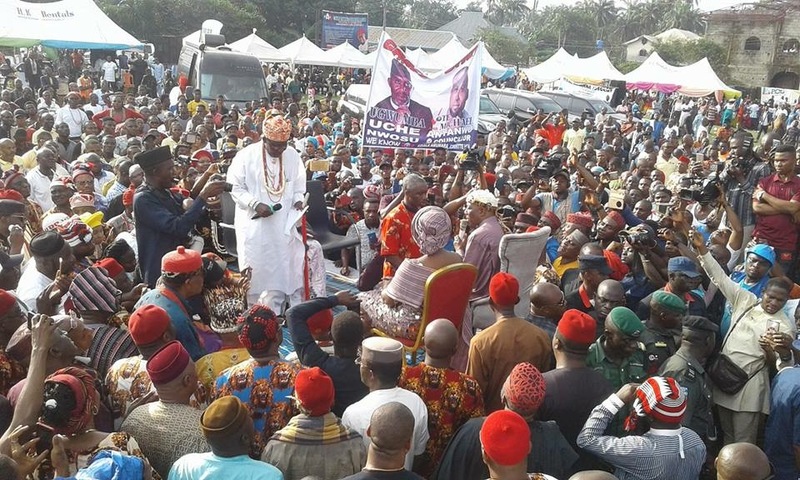 The traditional rulers commended Ugwumba for the great leadership gestures he has delivered to Imolites, stating that the title was to significantly identify him as a son and member of the Mbaise nation. 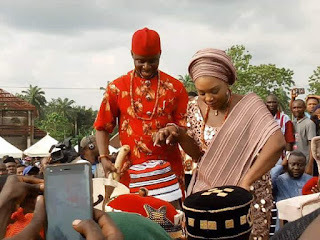 The ceremony of "Iri Ji", which was held in Ezinihitte Mbaise local government area, witnessed the presence of the high and mighty in Mbaise and across national boundaries, especially those in diaspora. 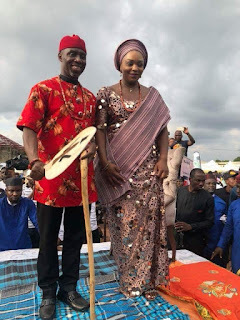 The ceremony also secured an overwhelming promise from Ugwumba, who extended his might of empowerment as he assured the Mbaise people of a program that will empower volunteers from each community in Mbaise. In his remarks of gratitude to the Mbaise people, he thanked them for the weighty support they have thrown behind him and eventually joined forces with friends to donate4 about 15million to the community as a token for their unequivocal support to his vision and ambition.